June 28, 2018 – San Diego, Ca. 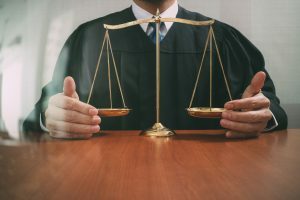 New hip replacement lawsuit settlement payout amounts are being closely looked at now that the Depuy, Smith & Nephew and BioMet hip manufacturers are getting ready to settle. There about 28,000 pending hip lawsuits. News reports early in 2018 say it’s estimated that the final court ruling will take place in the next few months. Expect large cash awards in these hip settlements. Breaking Hip Settlement News – So far there have been 5 major hip settlements that have already taken place. There are 13,000 or more hip cases, if our counts are correct, still pending. If you are one of the many who have a faulty hip replacement, now is the time to act. Hip models or brands currently being investigated are: ASR, Pinnacle, Smith & Nephew, Stryker V40 and Stryker Rejuvenate. Prior to this 2018 litigation only those who have had a revision surgery to correct the hip implant were eligible, however now the court is allowing those who haven’t had revision surgery to apply for this lawsuit. What hip replacement brands are settling? Currently, Johnson & Johnson subsidiary DePuy faces thousands of lawsuits for its Pinnacle and ASR hip implant systems. We expect, like in past hip litigation cases that DePuy is going to settle thousands of hip cases shortly. These hip lawsuits have been consolidated into multidistrict litigation (MDL) in federal court. Roughly 8,350 lawsuits are pending in the U.S. District Court for the Northern District of Texas against DePuy’s Pinnacle implant; about 2,360 lawsuits are pending in the U.S. District Court for the Northern District of Ohio against DePuy’s ASR hip implant. Wright Medical Technology Inc. faces roughly 550 hip lawsuits pending in the U.S. District Court for the Northern District of Georgia against its Conserve hip implant. BioMet faces nearly 1,240 lawsuits currently pending in the U.S. District Court for the Northern District of Indiana against its M2a Magnum hip implant. About 1,600 lawsuits against Stryker and its Rejuvenate and ABG II hip implants are pending in the U.S. District Court for the District of Minnesota. 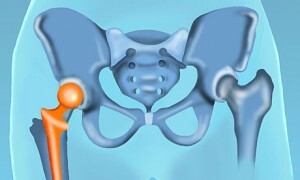 Zimmer faces over 400 lawsuits pending in the U.S. District Court for the District of New Jersey for its Durom hip cup. Why are these hip replacement lawsuits happening? Some of the most commonly used metal hip replacements are deteriorating and causing two serious public health problems, metallosis and cobalt poisoning, thus lawsuits are forming. Most metal hip replacements are supposed to last anywhere between 10 and 20 years before any additional work would be needed (revision or correction hip surgery). Some people have discovered that their metal hips were not working only months after having them implanted. Several metal hip manufacturers are facing lawsuits from patients who say they suffered complications as a result of their devices. Some of the settlement and payout amounts could be in the millions of dollars. It’s not unreasonable that some of the metal hip manufactures have already set aside large cash funds to cover these lawsuits. Some of the past individual metal hip cases have settled in the 1-2 million dollar ranges. Sulzer Medica, back in 2002 awarded a total of $15.4 million to three women. Sulzer had $425 million in cash for the settlement plus an additional $300 million in stock and proceeds from an insurance policy. How much are the Payouts for Hip Replacements? This question comes up a lot for us here. Because the 2018 bellwether trails are just now getting underway, some may be classified in an MDL, other hip replacement lawsuits will be on the individual bases (which takes even more time to litigate). There is still time for join in this Metal hip lawsuit, but there are statutes of limitations that apply. Some of the past defective metal hip lawsuits have had millions of dollars in a compensation fund to payout, and then that is divided up between all who have joined the lawsuit. Example: $100,000,000 in a settlement fund that would serve 1,000 victims would be $100,000 per person. This is only an example and does not represent what may happen for some metal hip victims. However as shown above, Sulzer Medica paid out a total of $15.4 million to just three women. Can I join in the Hip lawsuit settlements? If you or someone you love received a metal-on-metal hip replacement and suffered as a result, you may be entitled to compensation from any court ordered hip settlement, but you need to take action now. Call the Hood National Law Group today at 1-800-214-1010 for a free case evaluation, or use the form on the bottom of your screen.